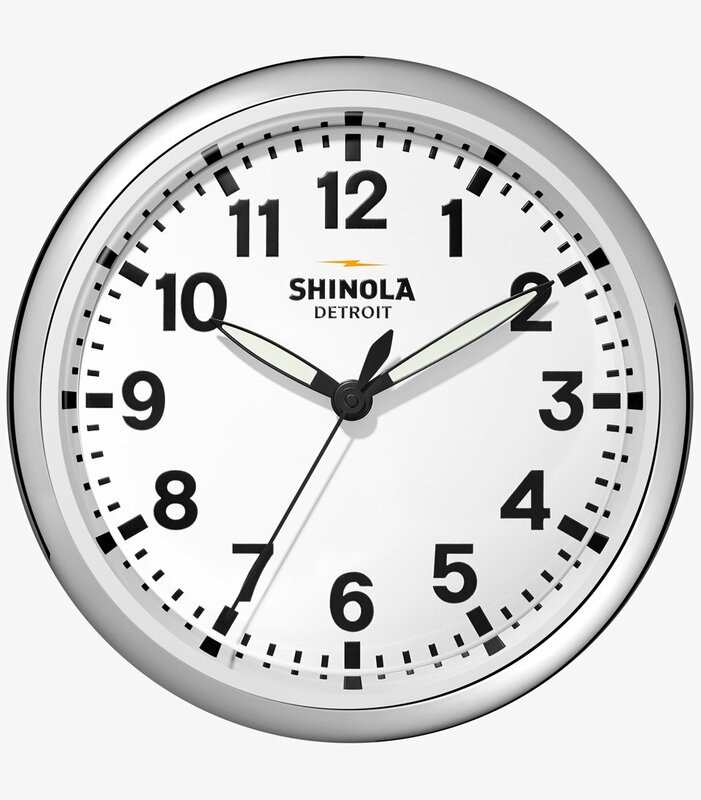 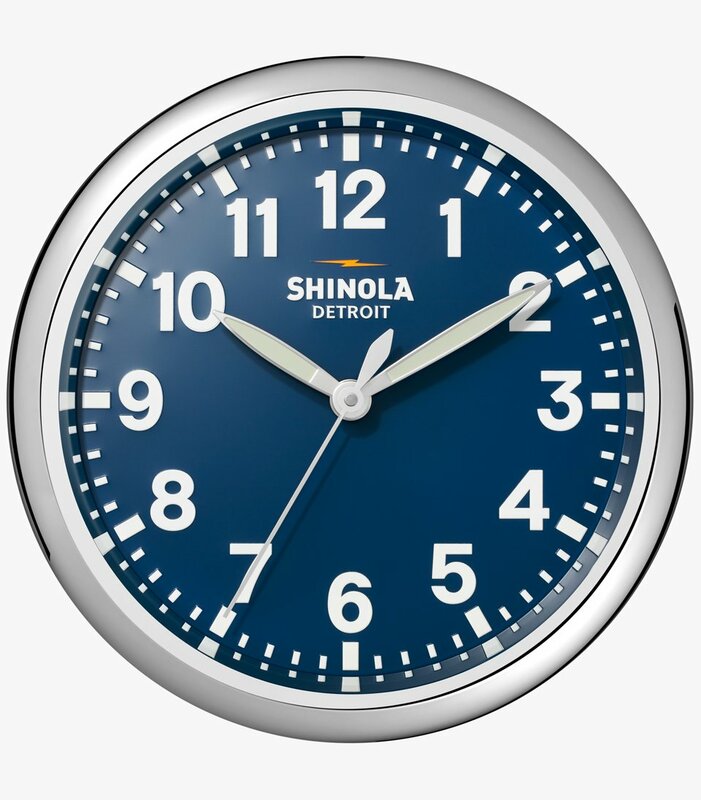 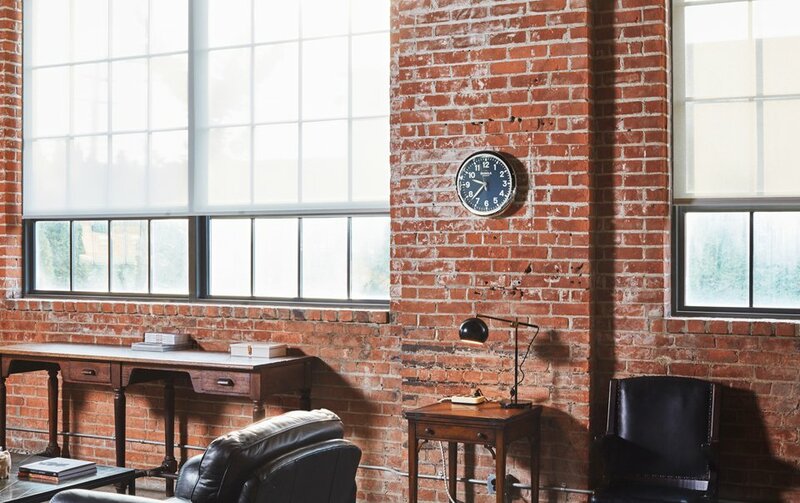 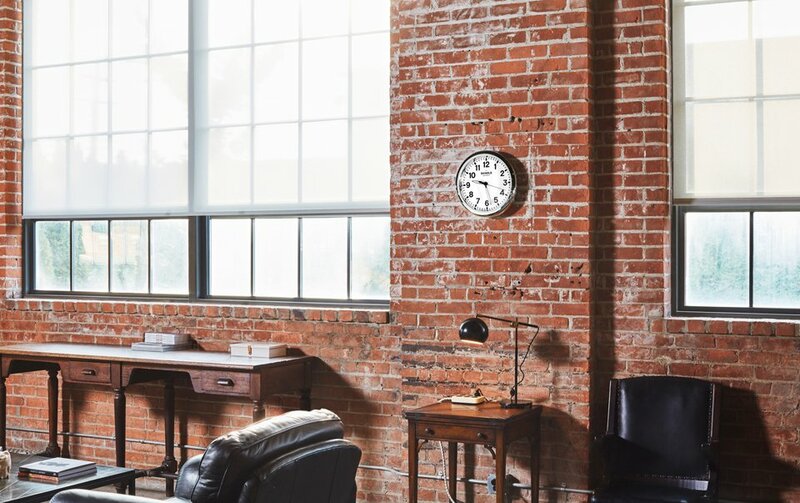 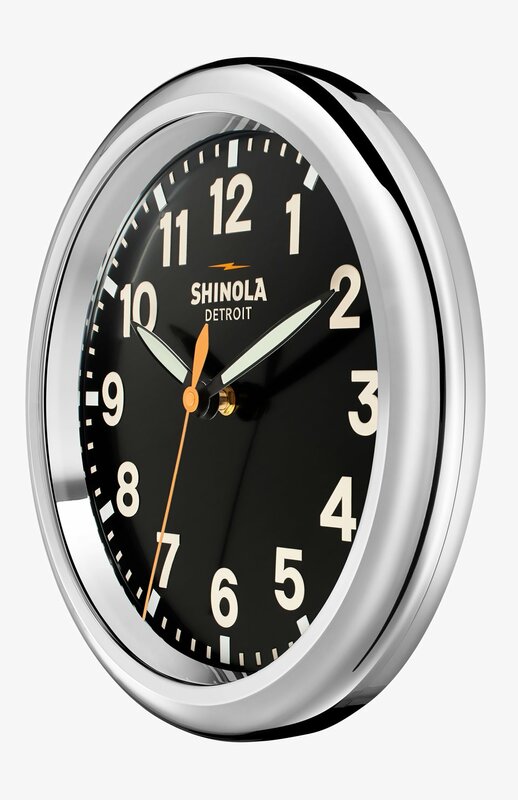 Shinola turned its Runwell watch design into a timeless wall clock. 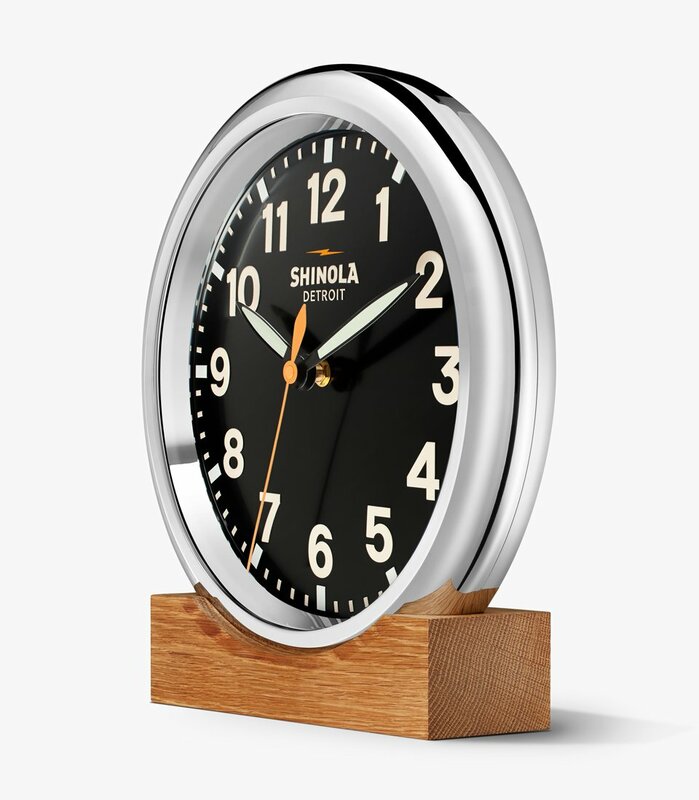 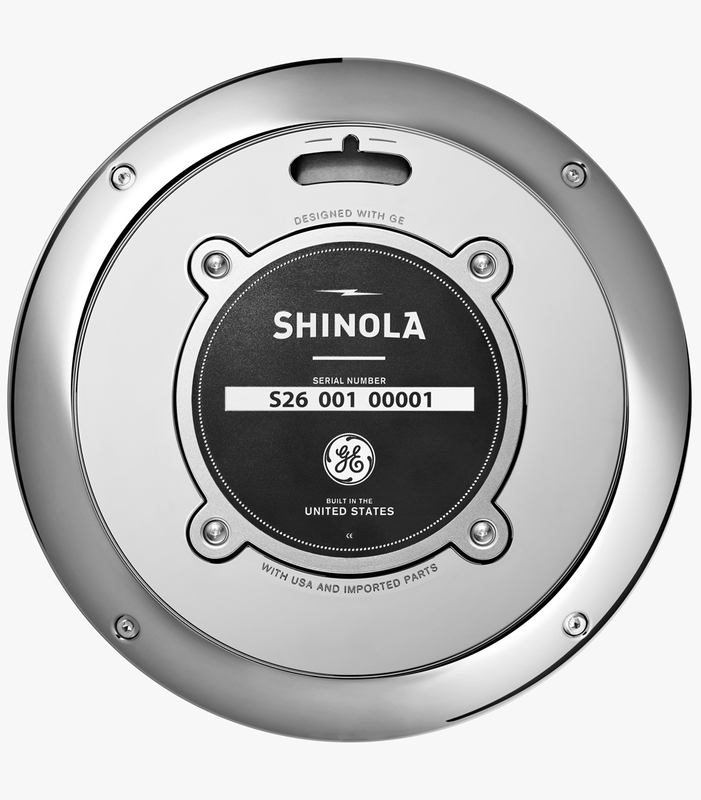 The clock has a zinc case, domed glass cover, and aluminum dial and hands. 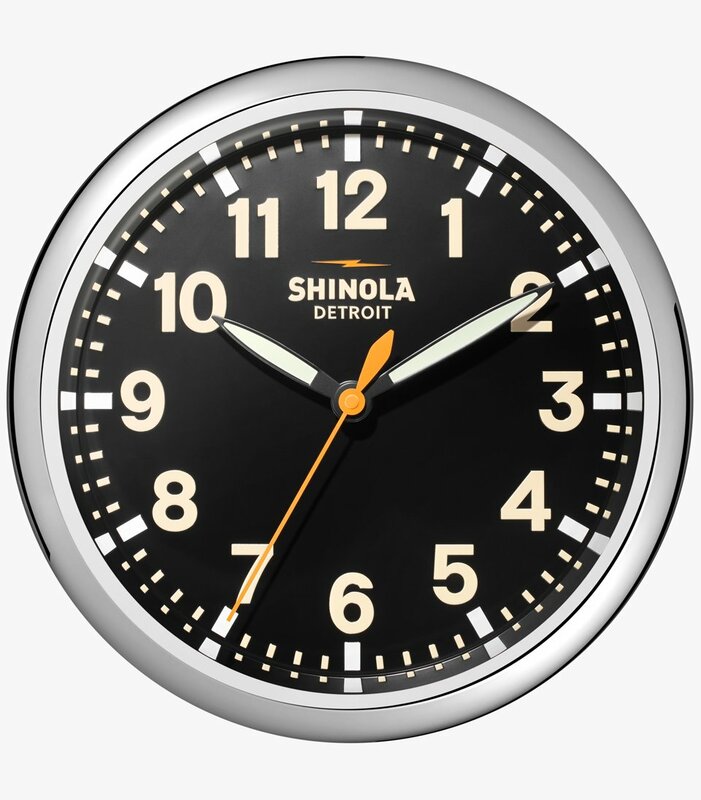 Available with a white, black or navy dial. 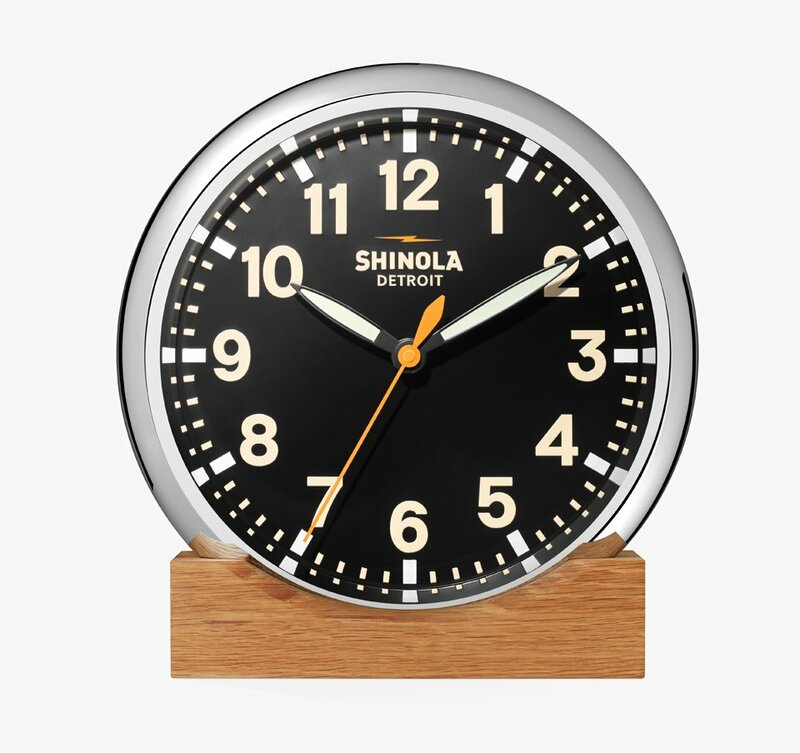 An optional stand lets you set the clock on a tabletop.